Prior to the release of the Sonic Mania game, back in the summer of 2017, Sega released an early look at the opening animation of the game. This minute and a half of charming animation was crafted by a talented team of animators, which included fan favorite comic artist/animator Tyson Hesse. With over 15 million views since the videos release (including 104K likes) it is safe to say the short animation was well received. So when several key staff members of the Sonic franchise appeared for the Gotta Go Fast Panel featured at this year's South by South West Conference (SXSW), Hesse took the stage along with Jasmine Hernandez (Unit Manager for Sonic Boom Season 2) to announce the upcoming release of Sonic Mania Adventures. A brand new series of animated shorts that will be released monthly after the first episode premiere in April, 2018. Though the length of each episode was not stated, Hesse went over a great deal of information about this new series. "Over the years there has been a lot of great variety in Sonic animations from the more dramatic styles of the Sonic OVA to the more wacky and cartoony stuff that some of us on these shores got during the early to mid 90s...I tried to keep all of this in mind when we were coming up with a tone and a feel and a story that matched the adventure, and the fun bright colorful excitement of Sonic Mania." Sonic Mania Adventures will contain 5 episodes which are all connected by a single unifying story line. This story will continue the adventures of Sonic (the same one featured in the Sonic Mania) as he returns to his world after dimension hopping from the Sonic Forces game. Other characters that will be featured in the series will be Tails, Knuckles and of course Sonic's life long adversary, Dr. Eggman. 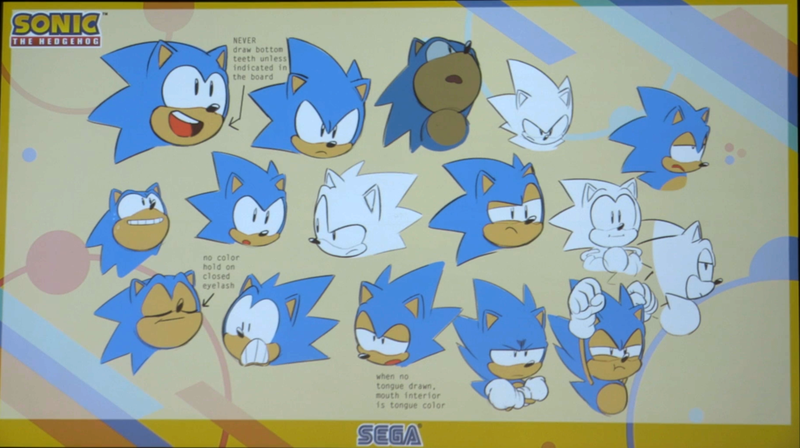 The panel went on to show several concept sketches of the main character designs and several expression sheets. It was here that Hesse was able to drop another important piece of information regarding the series direction. "Expressions and emotions are something really important to me, especially in the case of these shorts which in classic Sonic tradition feature no dialogue..."
This means that a majority of the storytelling in this series is going to not only rely on the animation and expressions of the characters, but the music as well. That music will be provided by Tee Lopes, the composer of the Sonic Mania game soundtrack. After going over the character sketches and confirming the release dates of the Sonic Mania Adventure shorts, the panelists were shared a fifteen second clip of the very first episode. Needless to say it hit all the same charming notes as its game predessesor. A style that seems to take inspiration from and enhance everything that makes Sonic animation appealing. "It was my responsibility to find something that appeals to all kinds of Sonic fans..." Hesse elaborated, "I really think we've come up with something that's special for everyone." 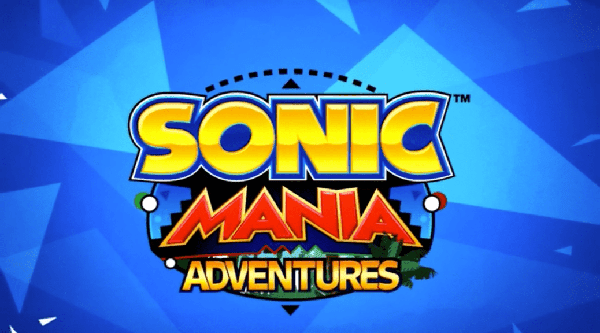 Sonic Mania Adventures will be be premiering on the Sonic Youtube Channel and various social media networks (Facebook, Twitter,) in April, 2018.